and knowing when you've had enough. Sometimes you reach your tipping point and decide for yourself that enough is enough. 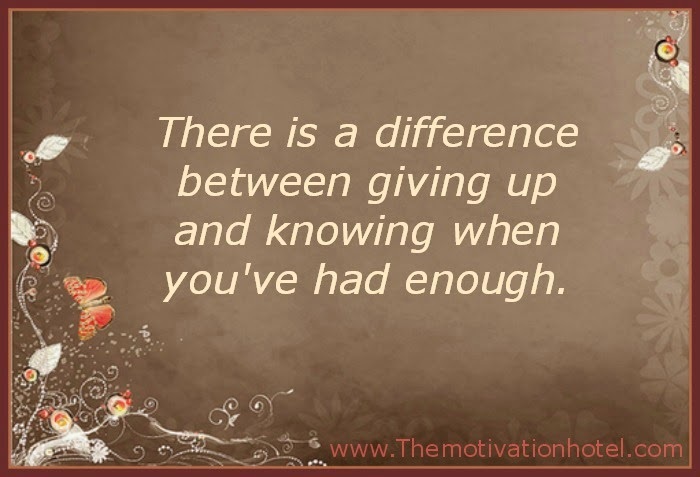 That's not giving up - Thats making a decision that you will no longer put up with their crap.